Cell phones weren’t on the list of Chinese goods facing 25 percent US tariffs. 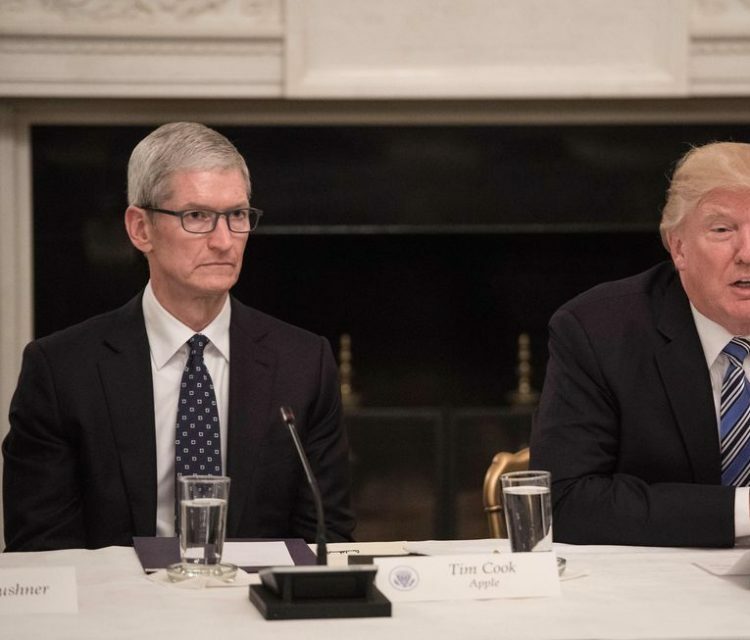 President Donald Trump assured Apple CEO Tim Cook that the US government wouldn’t levy tariffs on iPhones, which are assembled in China, the New York Times reported Monday. Cook visited the White House last month to warn Trump that his trade policies with China could have an adverse affect on new corporate-tax rules and that tariffs were effectively a tax on consumers, sources told the newspaper. The tariffs underscore the tension between China and the US over trade negotiations, a back-and-forth that roped in Chinese smartphone maker ZTE. The tariffs are part of the US’ response to China’s policies that require foreign companies to hand over trade secrets involving technology, intellectual property and innovation, the US government said.